Mélanie Clément of France had the day of her life on Day 1 of the 2019 Tbilisi Grand Prix. She stormed her way to the final, but her toughest challenge was waiting there. The current World Champion and superstar Daria Bilodid of the Ukraine, here on her comeback. But even with the crowd supporting the Ukrainian, Clément’s judo spoke for itself. She scored twice against a fighter who rarely gets scored on, crowning her -48kg Champion and our Woman of the Day. A euphoric moment that was shared with Mélanie Clément's coach, London 2012 Olympic Champion Lucie **Décosse**. We spoke to Mélanie about the key to her victory. "It is true, she is a very tall girl. 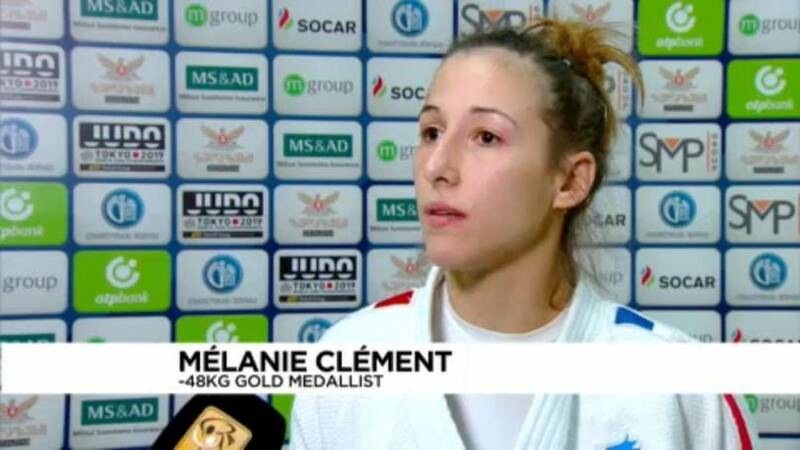 And her left arm is very strong, so I basically focused on that and I knew that if I was able to stop her arm before she took a grip then I would be able to build my own Judo," Mélanie Clément said in an interview. Our Man of the Day was Georgian home favourite Lukhumi Chkhvimiani. The Düsseldorf Grand Slam bronze medallist was here looking for his third consecutive gold on home ground. In the -60kg final he squared off against European champion Walide Khyar, the explosive Frenchman who was also riding high after an enormous ippon. It was a feisty affair, but the Georgian's tenacity paid off with a decisive waza-ari score and he was thrilled to celebrate winning his home Grand Prix for the third year in a row in front of his overjoyed home fans. In the women's division, Odette Guiffrida of Italy demonstrated her impeccable timing in the -52kg category. Twice throwing her Israeli opponent Gili Cohen beautifully with her trademark foot sweep. 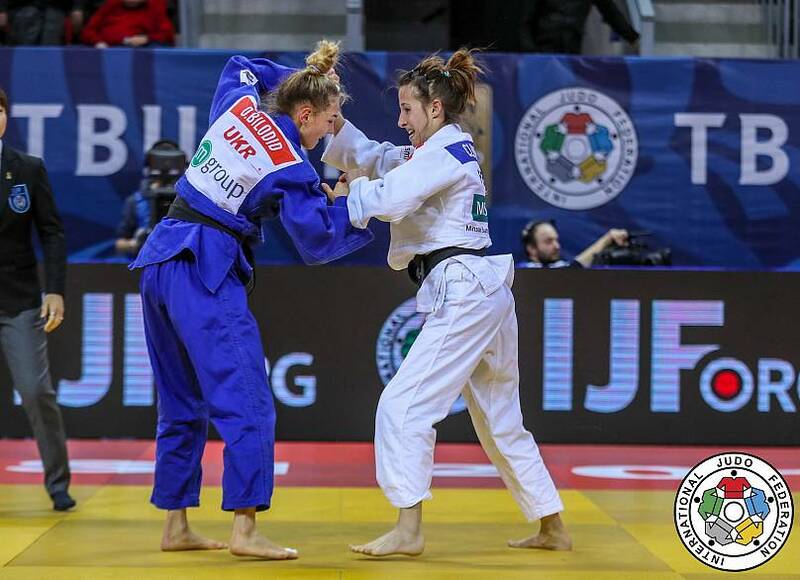 Elsewhere, World Judo Masters silver medallist Nora Gjakova of Kosovo celebrated her fifth Grand Prix gold medal with a win against Olympic champion Rafaela Silva of Brazil in the -57kg final. Silva was guilty of a bear hug in golden score and received her third shido and was disqualified. 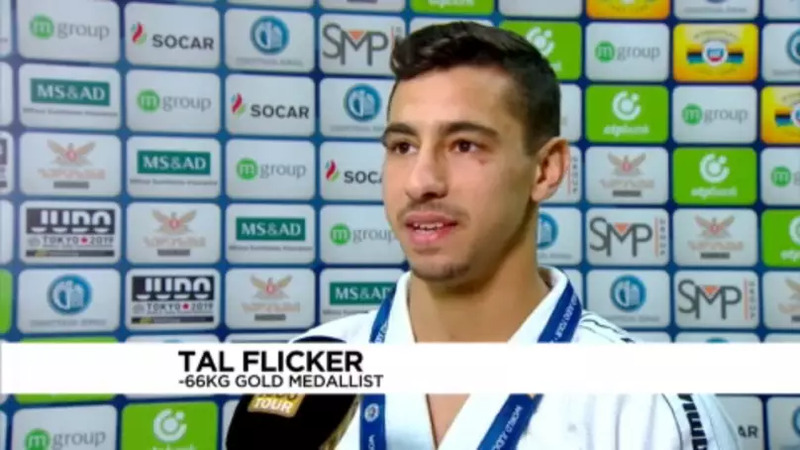 In the -66kg division Tal Flicker of Israel looked the man on form. 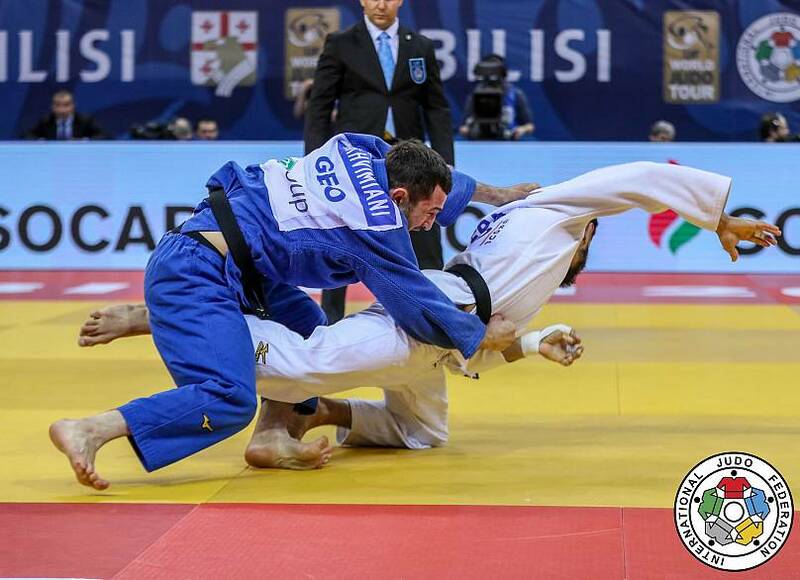 A huge ippon seoi nage in the early stages of the day marked his intent to take gold. In the final Flicker took on not only Giorgi Tutashvili, but also the expectant Georgian crowd, hoping for a second gold on the opening day. But the World Bronze medalist would ultimately overcome the young IJF World Judo Tour debutant with a clever dropping technique, driving his opponent to get the score. "The Georgian is young and we’re in Georgia, and he came to prove himself. I knew he was going to charge me and there was going to be a lot of sounds and crowd. 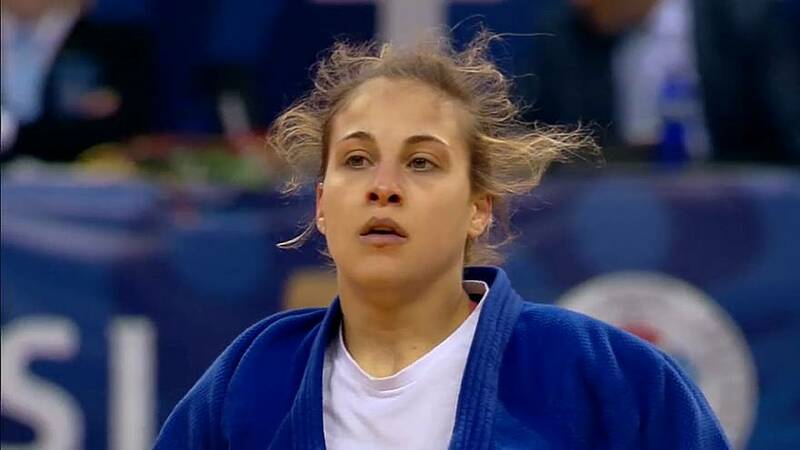 This is what is beautiful in Judo, you can’t win all the time, and sometimes even the best can lose. So it’s sticking to your own plan and believing in yourself," Tal Flicker said in an interview. Today we don’t have our traditional Move of the Day. We bring you instead the Contest of the Day. Eventual -66kg silver medalist Giorgi Tutashvili of Georgia took on the Indian sensation Jasleen Singh Saini and it was spectacular. Both judokas put their heart and soul into what proved to be a contest of high drama. Eventually the Georgian prevailed after a dramatic display of judo that was also a fine sporting portrait of friendship and fair play. So at the end of the first day of the 2019 Tbilisi Grand Prix, France tops the medals standings, slightly ahead of home nation Georgia, and closely followed by Israel, Italy and Kosovo, who all have one gold medal each so far in the tournament.